Whatever model, type, and operating system you have on your computer or laptop, its performance gets slow with the passage of time. One of the main reasons behind is the new applications which are always developed to perform better on modern devices so they perform better and smoothly on modern computers and laptops rather than performing better on your older version which is based on older technology. The second main reason for the slowness of your computer is an excessive load. As time passes, you install various applications as you feel the need and never bother to uninstall even if the need is not there anymore. You keep feeding the data on your computer and forget about that like you download a movie to watch and then never bother to delete it even after watching. And same is the case with your operating systems, they keep filling some of the data like restore points, cache, cookies, temporary files, junk folders, and various dump files. All these activities put an extra load on your computer and then its performance starts getting slow. Well, the best solution to get rid of this slowness is PC cleanup. Now the question arises how to clean your computer, so here we are to reply this most frequently asked question. Windows 10 is extremely modern and smart operating system and it has some built-in functions that keep your system optimized. Most of the PC cleanup activities are not now required because Windows 10 does it automatically. But here still we are going to tell how to clean your computer Windows 10. This first thing for system cleanup you can do is to install some of the best computer cleaning software. There is plenty of system cleanup software, some of them are paid while others are free to use. Be cautious about free PC cleanup software because nothing in this world is free. You pay even for free software, not in the form of money but in the cost of personal data and privacy. So, be very careful while downloading a free PC cleanup software because this software has access to the sensitive folders of your laptop. The best computer cleaning software so far is CCleaner. It’s a shareware and you can download it free from their official website. You can buy their premium or paid version if you are satisfied with the performance. CCleaner is very light and easy to use PC cleanup software. It does system cleanup by deleting unused applications, temporary folders, browsers’ cache, system’s cache, memory dumps, and junk files. It not only saves memory but it also enhances the system's performance. After using CCleaner, there remain only a few tasks for PC cleanup that you have to do manually. Search through your storage drives and see which files you don’t need anymore and delete them. Plan a desktop cleanup because a desktop loaded with lots of stuff may affect the system’s performance. There might be duplicate files stored on your system and you can either delete them manually or you can use some software to find duplicate files to delete them later. After desktop cleanup, the next step in PC cleanup is to filter out Windows Startup. See which applications are loading automatically as the system starts. There would be some unnecessary applications which are doing nothing but slowing down your PC. Disable them and save the new Startup. 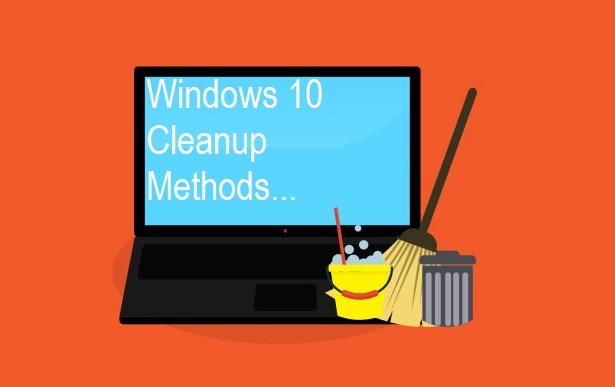 Performing these PC cleanup steps will definitely enhance your system performance.